Perfect Picture Book Friday: Remember, Grandma? I was browsing in Ian’s school library earlier this week and came across this little gem. At first glance, I thought the title was “Remember Grandma” — so I thought it was about a child’s memory of her departed grandmother. When I peeked inside, however, I realized that this book is about a little girl who is realizing that her dear grandmother is slowly but surely losing her memory… and along with that, all recognition of her and her family. My grandma lives with us now because she can’t remember. She is not the wrinkled kind; she’s the special kind instead. She wears high-topped sneakers with yellow laces and she laughs very loud. Once she had a houseboat and an art gallery by the sea. Then she played the piano and made mile-high apple pie. 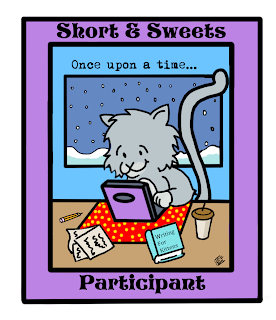 Why I Like This Book: This is a beautifully written and illustrated… and very poignant… little picture book. One of the things that got to me were the illustrations of the grandma– especially her eyes, which are at once sad with remembering, and next confused with forgetfulness. But through it all, she smiles, as does her granddaughter. I was drawn to this book because of the cover of the little girl and her grandma, because I was especially close with my own grandmother up until the day she died… and that probably makes it all the more bittersweet for me, personally. ‘The bruised parts are best,’ she says. Dad laughs, but Grandma insists. I mean come ON– how can you read that and NOT be moved? That passage gets me every single time. 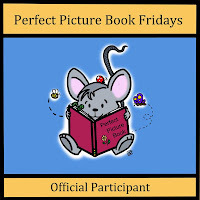 For more “perfect picture books” (and to see the KidLit blogging world’s latest entries for today), visit author Susanna Leonard Hill’s Perfect Picture Book Friday page. I could spend every day on Susanna’s site! (Actually, I think I do…) 😀 Happy Friday, everyone! !